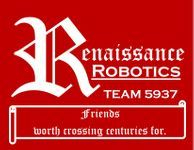 All Renaissance Robotics team members have a rank in each category based on their level of training, interest and competence in each of the work group guild sub-teams. Every level is responsible for cross training the level(s) below them in that guild subject area. KNIGHT - proficient task leader whose job it is to make sure things get done. This does NOT mean doing it all themselves. It’s overseeing that project and making sure everyone gets a training opportunity. The guild sub-team you are a “knight” in is your main area of responsibility. SQUIRE - competent back-up in their knowledge level for this sub-team. More training is needed, but they can easily step in to help in this area even without a teammates help. PAGE - novice trainee for when we are just learning something or it is simply not strong in our skillset even with training. We can and will try, but it’s best if we have a teammate help guide us. ALL Renaissance Robotics team members have a role or area of responsibility in EACH of the 5 work groups. Work groups are broken down into 3 guilds each, so team members can focus on areas that interest them. This cross-training creates a well-rounded team without one member dependency. It is also a way for all team members to gain a wide variety of skills. 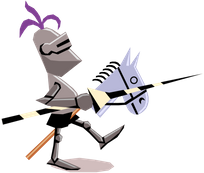 This cross-training approach is reinforced with our Knight, Squire, Page ranking in each work group guild category. for more details on each guilds area of responsibility within that work group.